Based in Calgary, Alberta, The Hayward Group has been providing talent management consulting services since 2006, across Canada and the United States. Our primary focus is on helping organizations make more effective talent management decisions, through the objective evaluation of employee capabilities and a range of supporting recruitment and development services. We are proud to work with a number of leading associates and partner organizations to provide you with a wider range of expert insights. Chad Hayward is a management consultant with over 15 years of experience specializing in employee selection, development, and succession planning. Throughout his career, he has held positions with a number of leading human resources consulting firms and has worked with client organizations of all sizes, from three-person start-ups to large multinational corporations. His primary role as a consultant has been to help clients improve their approach to sourcing, selecting, developing and engaging successful employees. Colleen Lucas has over 15 years of experience consulting in the area of organizational development, collaborating with clients to create innovative solutions to meet their needs; both as an internal and external consultant in diverse organizational contexts. Colleen is a Provisionally Registered Psychologist with the College of Alberta Psychologists and Psychologists’ Association of Alberta, and a member of the Society of Industrial/Organizational Psychology. She is currently chairing the Psychology Healthy Workplace Committee (a subcommittee of the Psychologists’ Association of Alberta). JOEL WILKINSON, M.SC., R. PSYCH., PCC. 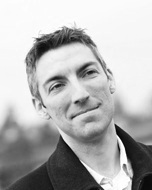 Joel Wilkinson is an Executive Coach, Consultant, and Registered Psychologist. Joel has worked with thousands of leaders, executives, and other individuals – helping them achieve personal, career and business success. He brings his background as an elite athlete, coach and sport psychologist to support the development of individual, team and organizational potential. Joel’s approach is to fully understand the unique needs of each organization or individual, to create strong collaborative relationships, and to implement practical and effective solutions to create desired results. Fred Jacques is an organizational development consultant and leadership educator with over 30 years of experience in both the public and the private sectors. His consulting practice focuses on leadership development, executive coaching and change management with clients across Canada, and was launched following a successful career as an internal consultant and HR manager for several large organizations. He has designed and delivered leadership development programs that incorporate best practices in seminar-style instruction, experiential exercises, 360-degree feedback and individualized coaching. Fred is a sought-after facilitator and coach known for his attention to client needs and his sense of humour. Diane Locke is a seasoned talent management professional with over twenty years of leadership development experience including executive coaching, assessment, consulting, team facilitation and training. Diane is an ICF Accredited Professional Certified Coach who obtained her Certificate in Executive Coaching from Royal Roads University, and is a member of the faculty at Queen’s University IRC and the Schulich Executive Education Centre. She is an invited speaker and facilitator at various conferences and a member of several professional associations. The University of Calgary is a publicly funded research-intensive university founded in 1966, with 14 faculties offering more than 250 academic programs, and more than 50 research institutes and centres. Haskayne Executive Education programs deliver an impactful learning experience that combines real world knowledge, leading-edge research, and practical applications to empower leaders to achieve sustained success.